PitPoint.LNG has received the official permit for the construction of Europe’s first shore-to-ship bunkering station for LNG in the Port of Cologne. With this important milestone now in place, the civil engineering work can start for the LNG bunkering station, which is scheduled to be operational by the second quarter of 2019. Since the plan was announced in June last year, PitPoint.LNG has been working hard to complete the thorough and substantial permit application process. The permit, required under the Bundes-Immissionsschutzgesetz (German Emission Control Act) to guarantee the safety of LNG as a fuel for shipping, was formally granted by the District Government of Cologne and means that construction can now definitively go ahead. PitPoint.LNG collaborated intensively with various organizations to bring the permit application process to a successful conclusion. 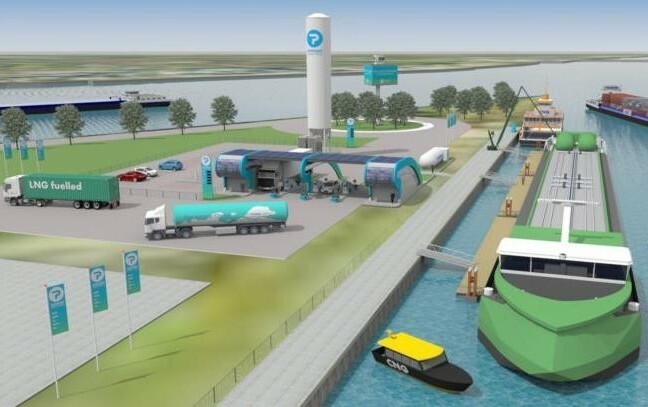 The new LNG bunkering station will be built in the Port of Cologne, located at Am Molenkopf 1, and will facilitate the bunkering of inland waterways vessels that sail on the Rhine, Europe’s busiest waterway. The availability of LNG will therefore encourage a further adoption of the fuel, with a direct positive impact on the health of the people living in the vicinity of waterways. Construction of the LNG bunkering station in Cologne is part of PitPoint.LNG’s strategic aim to develop a European LNG infrastructure for transport by road and water. It will be the first shore-to-ship LNG refueling location in Europe, as well as the first to serve Europe’s busiest river.